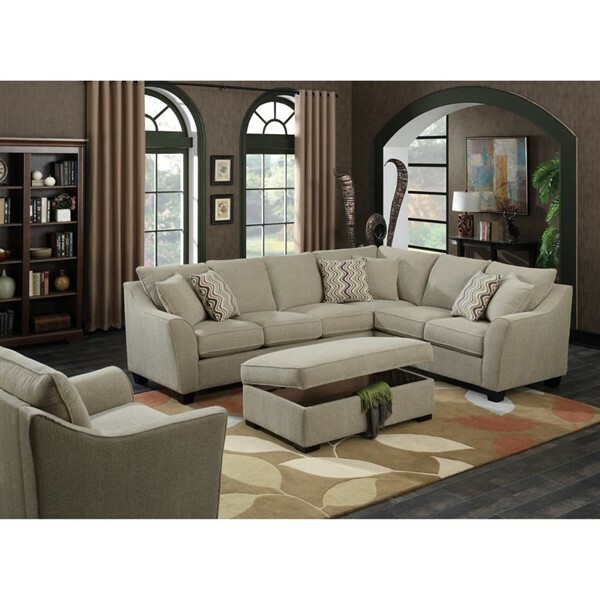 The Calvina sectional has ample seating room. The cover is a "pepper" grey 100% polyester, easy to clean fabric with welting detail on the cushions and arms. The 8-way hand tied springs provide sturdy and durable support while pocketed coils in the seat cushions make for a very comfortable and relaxing seating experience. Fixed seat and back cushions keep all pieces in place and uniform. Additional quality features for the set are wood legs and a matching storage cocktail ottoman on hidden casters. 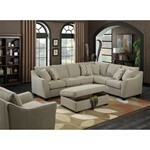 Sectional includes 6 pillows (3 black & 3 in a coordinating patterned cover).